This gig is designed to Animate your Logo Professionally. Take your videos and business to the next level! 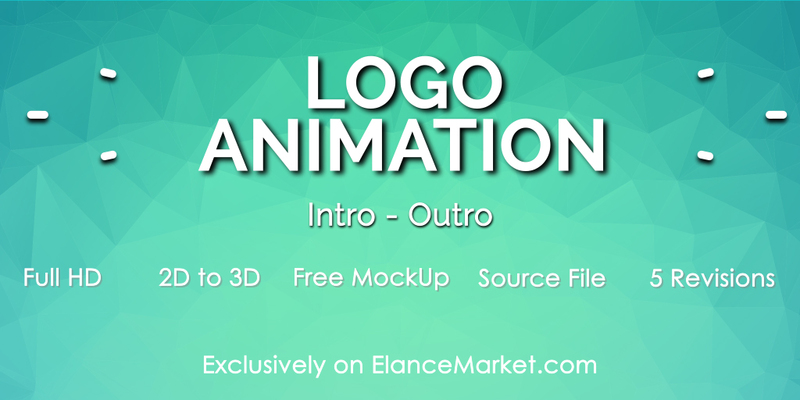 Custom animation is the way to go to stand out from your competitors and to boost your business, every logo design is unique that's why you need a unique intro or outro that suit your logo! If you have any questions or if you want to consult before ordering feel free to contact us. Unlimited Revisions in every order. You only need to send us your logo, text, tag line and describe your idea. Then let one of our professional's creativity does its job. In case you have a complex vision or a particular thought then please share a refrence in notes and kindly get in touch in advance so we can make sure that we can realize what you are looking for. We are happy to take your business to the next level!